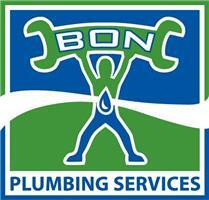 Bon Plumbing - Plumber based in Wirral, Merseyside. With over 5 years experience Bon Plumbing Services is a customer focused business with an emphasis on quality of work not quantity. Through effective communication we ensure that the job is done exactly how you wish and that all your expectations have been met. We're happy when you're happy and all our completed work comes with a 12 month labour guarantee. We understand the slightest problem in your home can have a knock on effect to the rest of your plumbing system and pride ourselves on improving all round performance and efficiency. With this in mind we consider no job too small. We understand that having problems with plumbing, particularly emergencies and having trades men in your home or business can be a stressful experience. We are available 24 hours a day and make every effort to put your mind at rest, from taking the first phone call through to completing the job.